The Order of Daughters of the King is an international religious order for Episcopal women. A Daughter pledges herself to a lifelong program of prayer, service, and evangelism. 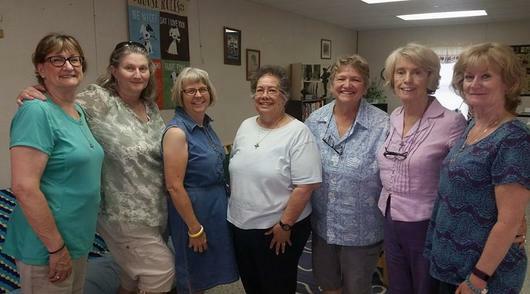 St. Clement’s Maranatha Chapter meets the second Saturday of each month and includes a book study program. We meet in the Safe Harbor/Sunday School Room (1st portable) for Bible study, prayer, coffee, and fellowship from 9 a.m. to 11 a.m. In addition to montly meetings we provide support to St. Clement's with service projects and helping to organize events (Shrove Tuesday Pancake Supper, Founder's Day and other church functions). To render obedience and worship God. To help and benefit others. Contact Debbie Honeycutt to learn more about The Order of the Daughters of the King.